Shopping the easyfundraising way with Confetti, could not be easier. Follow the instructions below, and create an account today to start supporting a cause or charity of your choice. 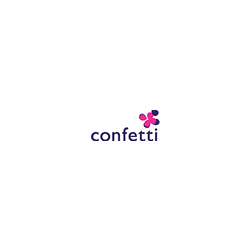 Whether planning a wedding, anniversary, christening or party, Confetti has everything you need, offering a huge selection of stationery and spectacular table settings, from fun disposable cameras and creative invitations to delicious party chocolates, gift ideas and stylish favour boxes.